Best Power Bank for Thru-Hiking? So you are going to have to do some math I am afraid, because you wanted enough power and light enough. So two Powercore II 6700, or two Powercore 10000, or even more. Conflicts between lightness and enough power. Firstly you need to work out your power needs. Do you know how to do that? take each item, for example let us using the iPhone 6S, it has a 1715 mAH battery. How many days will that last you from full to empty? If it lasts 1 day hence that needs 1715mAh/day. If it lasted 2 days then its 1715/2 = 858mAh/day. do that same for all your items. add it up, you'll get a number. For the explanation of the math let's say this added upto say 2000mAh/day of demand. You will get a different number, subsitute the 2000mAh/day with what you got from the above. Then use a rough method of 3/2 of that to allow for the inefficiencies and the different voltages involve, some cable loss to get the input power. If you doubt this 3/2 then look at this video which explains it long-hand. Then your 2000 becomes 3/2x2000=3000mAh so you need 3000mAh/day of actual power. What number you get this stage is what is your "daily need" I use below. Then let's discuss solar and the panel you link to. That panel is actually a good panel, it is efficient and unfolded quite large, but like many solar panels it tends to, cough, exaggerate, what you actually get. As rough guide it is not a 21W panel it is a 10W-11W panel, I will use 10W in the calculations below. Below I show what you can get from solar. in good sunshine you get 10W, and then multiply by the time you get. So if you propped it up from sunrise as you cooked breakfast and packed your equipment, and then at any lunch or rest stops, and then as you put unpacked and got your tent upright, say you got 4 or 5 hours of good sunshine per day. Then you get 40Wh to 50Wh on such a day. But some days are cloudy or rainy so your average over your 6 weeks would be lower at times. So let's say on average over 6 weeks you got 30Wh/day. Some days more, some days less. Then let's combine your needs with the solar. In the example above I got 11Wh/day needs, and above I got 30Wh/day of solar. So as 30W is a lot more than 11W that means on average you will easily keep all devices going because the few hours/day is easily able to keep up. Hence in this example you need to carry just enough Powercore to store up the sun during the day and carry you through the days when no solar (cloudy, etc). so then divide by the 3.7V and then you get to 3Ah Powercore, or a 3000mAh Powercore which is the Mini+ model. If you wanted a gut instinct non-math advice then I would suggest two Powercore II 6700, but recommend doing the math it might be need two Powercore 10000 for a bit more weight. Powercore 10000 quantity two, 4A input, 20000mAh total. I cannot imagine you would need more than that. Now you did say you wanted a two-port Powerbank, well these are all larger, and yet you said you wanted to be as light as possible. From the calculations you will probably conclude you are carrying too much power and too much weight to get two dual-socket Powerbanks. The smallest dual-socket is the Powercore 10040 but observe it is 240g vs the Powercore 1000 180g, and the Powercore II 6700 140g. If you do find the Powercore you decide to buy easily keep up, are nearly always full, you could save a bit of time by attaching your devices directly, rather than attaching Powercore to solar, recharge Powercore, attach Powercore to device. If you were counting every ounce then you trade weight for a little bit more faff so go for smaller Powercore and then when they are fully charged then attach your devices to recharge them. The one idea you did not ask is to have NO Powerbank and recharge all your devices off solar. The problem with this method is that some of your items recharge slowly, they have smaller internal batteries so if you plug in directly to the panel you would need to leave them attached for hours. It will save you weight though. So at least one Powerbank which ingests energy faster is recommended to then attach that Powerbank to your slowly recharging devices. I agree with above posts a solar charger could be useful. Thank you for this excellent, thoughtful response. I have some figuring to do before I come to a decision. I have been tempted by the dual-socket Powerbanks but have noticed the increased weight, so I am not tied to the idea. A follow up question: Some of the PowerCore 10000s add descriptors, such as "with Power IQ", "with Power IQ 2.0" or "with Qualcomm Quick Charge 3.0" — Any advantage in selecting a model with one of those labels? None whatsoever getting the IQ2 or QC products, because your input the Powerbank from solar is not IQ2. Per solar panel output port is 10W, so you have no benefit in recharging Powerbank with more than 10W input. None of your list of devices are Qualcomm Quickcharge (you'd need say some of the Android phones, you mentioned only iphone). Do your maths and work out what you should use. The highest density is the 10000 followed by the II 6700 followed by the + Mini. I do hiking and I have been using the Powercore Mini+ plus the 10000 but since then the II 6700 came out so now its the Mini+ and the II 6700 to get 2 ports max density and a bit of diversity, these packed either side of my backpack to allow one to survive a fall. Also more recently is a rechargeable water resistent LC40 which could also be recharging off solar during the day, you can clip dangling from your tent apex. I have the Anker 21W and a Choetech 19W. The Choetech is ergonomically better as it has a zipped pouch so you can e.g. strap it to your backpack when you're move opposite to the sun to recharge while moving, the Anker has a velcro pouch which won't hold anything inside reliably so then you use a sufficiently long cable and have the recharging item inside a pocket like the commonly left/right outer pockets on most backpacks. I actually now gave up on GPS unit, solar is so good I use just a cheap mobile with downloaded maps as its cheaper. I camp in UK they what is called Ordnance Survey and pay for very detailed maps, a lot easier than a printed map and guessing your location from shape of hills and walls and streams. Powerbanks, all the ones I listed will ingest at 2A 5V 10W til about 85% full then slow their ingest, to not frazzle the battery, so towards the end of the recharge you are in effect wasting solar energy. One method to not waste solar is a bigger Powerbank so that 85% is at a higher level of stored energy. Another is to keep swapping everything around and just keep two things recharging all the time like your GoPro or headlamps, but it is less faff to just recharge the Powercores x2 and use them to recharge other items. Charging a Powerbank to then recharge other items does itself waste energy, you lose about 20% of it in all the conversions in/out extra steps BUT in general most devices CANNOT ingest at 2A anyway so you'd be wasting solar energy via NOT using a Powerbank. The only type of devices which can ingest at 2A are the larger tablets but they are a weight and rarely worth having on a trip. My phone I have 128GB internal SD card and downloaded lots of videos for evenings. Solar power is better in the morning than evening as the temperatures are lower and solar is more efficient when colder. Later morning better than afternoon for same reason. Noon sunshine is strongest but also heat, so if you had any choice try to use the time just before and during noon more so than the afternoon. Keep solar square to the sun. Altitude (higher up elevation) the sun is stronger as less UV has been absorbed by less atmosphere over you head, and the UV is the most powerful type of solar. Of course strapping to backpack is the opposite, it being nearer to facing east/west than straight overhead will mean it will get weaker sun but can usefully be taking in power all the day. Powerbanks are extremely tolerant of varying input and so you can largely plug in morning and forget and they'll recharge in a few hours certainly by end of the day because at some point you'll be facing correctly. 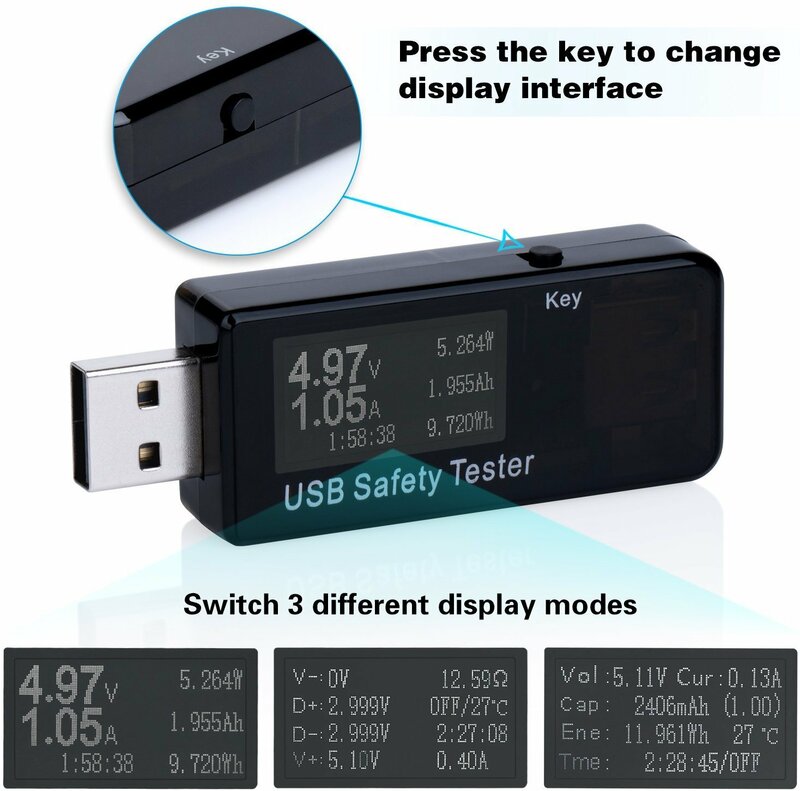 consider buying a USB meter and play with solar at home and learn the relationship between sun direction, intensity and the recharging performance. Example . What you can also test for in advance is for cables quality, about 1:4 cables are not working well. Anker cables are good quality but still worth testing. Without a meter you'd struggled to know the best cables to take. Shorter cables behave better but if you are hiking+solar you'll need a minimum 3ft cable to keep the battery safe and in shade. You mentioned hiking but I also do a lot biking and I use a dynohub and recharge devices off that, get about 3Wh total / day which is enough to keep a torch and a phone recharged. Based on that experience I think you'll be pleasantly surprised how powerful is solar now, you can make useful recharging even in hazier or thin cloud days. Some people to save a few ounces now for hiking are using the smaller 15W as even it can be sufficient, it is actually the most commonly recommended solar product, but it is less often functional because it needs more perfect conditions to function so I do recommend the more tolerant of mixed conditions 21W you have bought. The issue is that the 21W solar panel is so good it is significantly closely sufficient all by itself to not even need any Powercore, but the total list and type of the items being carried in this case is a lot of low-power items and they collectively will take a lot of time recharge, potentially in total more than than sunshine in a day. Powerbanks, the ones above the Powercore+ Mini which is only 1A input all are 2A input and so two of them is 4A input = 20W at 5V so easily able to ingest all the energy output. The only problem is the time between sunshine such as in cloudy or wet periods you have to carry 2-3 days of stored energy. I got my camping gadgets now to just a phone and a torch, these plugged in together can draw about 2A at their most drained and recharge in a couple of hours and the phone lasts about 2 days so I could get by with no Powercore if I knew the wet/cloudy periods were never more than 2 days, but to allow for worst situations, a limited say 6700mAh is sufficient. You'd need a lot more and bigger devices to remotely justify as much as 20000 or 26800, those would be if you DIDNT carry a solar panel such as in winter to last between power. Or would be say with a tablet and car camping when the tablet carried just from the car not thru hiking. To take both a solar panel and large amounts of stored energy is vastly overkill, no either solar and just enough stored energy for say 2 days without sun, or larger Powerbanks, not both. I agree with all of that, but I went more towards the unknown here. Extensive goPro usage plus gps, phones and overnight usage of headlamps may eat more juice than we assume. Depending on the gopro battery and usage alone a 12 hour battery is 4800 mAH. This one item can make a huge dent in both the 6700 and 10000. A standard gopro battery for my hero 5 session lasts 2 hours under HD usage. There are too many unknowns for me to recommend anything less, with 2 20000's you can always have one charging under optimal conditions. Right so that is computable as my first long reply. Math it. If math shows the need. Math can also show if solar is viable. Solar is at it's best only 30Wh- 60Wh depending on effort to keep it aligned to sun so two-day stored energy cannot reliably get above 60Wh-120Wh and the 26800 is 100Wh, so you do the math and you're conclusion is very large power bank then you're at side of the idea of solar being not valid. So this can only be done with math. Honestly Im just trying to identify all possible variables. The 26800 is more bulk than I would use, the Elite 20000 is 13.5 oz each, so 27 Oz for 2. Powercore 10000 is 6.9 oz each so 13.8 oz for 2. Double weight (under a lb), quadruple the storage under optimal conditions. Also considering the pricepoint is $20 more for the 2 elites (They are currently on sale on amazon for 39.99 ea) and you ensure you have more than you need for most occurrences. I understand weight is a premium, so its up to the user. I like yours under optimal conditions, but I myself am thinking a little more "safer" for me, not to mention I usually buy bang for my buck over optimum usage. Also, for BackpackATL, not sure if you received your answer, but the PowerIQ and PowerIQ 2.0 are really how efficient a charger is for your devices, 1 is a newer tech than the other, but they are both much better than nothing at all. Qualcomm Quick Charge 3.0 is relatively useless for an iPhone as they lack this feature, so even if it has QC 3.0 in it, I would just make sure PowerIQ 1.0/2.0 are also there. This is 6 weeks off grid, so you have to work backwards from what solar can provide given it is a time vs power issue. E.g. if you stay still all day nursing a solar panel you'd get equivalent of 60Wh but then you're not actually hiking. The other extreme is moving all day and accidental alignment so nearer to 30Wh. No you cannot just throw opinions at this, it has to be done by maths. Know how long each device will last, know it's battery, ideally meter everything..
A totally different trip say a weekend off grid then not carrying solar and instead a big power bank would then be mathematically sensible. Or car camping where you're stationary a lot and leave panel tilted facing south all day also suits a bigger power bank. Can't do this from gut, only math from measurements. The solar panel is not QC and none of the devices are QC so there is nil benefit whatsoever of QC or IQ2, all such products are larger heavier and more expensive. If it were different phones, or every couple of days able to get a couple of hours only with wall power there might be an argument, but again not relevant to this context. 6 weeks carrying everything is quite a unique ask. Again, I agree with you, but there isnt enough information given (battery sizes, how heavy a use other than gopro, etc.). Without this information I err on the side of caution and would use an overlap method of 1 charging while the other is under use during each day. You are correct though, math is needed, we just dont have enough to do it ourselves easily. If we factor 15 hours of light a day on average and use a gopro most of that, you will need between 6500 and 9k mAh of juice just for the hero. Thats between 10k and 13k mAh a day just on 3 of those devices alone without even factoring in headlamps and GPS. If you can charge both banks reliably each day to full you will probably be fine. But again, not enough information. I am not going into this blindly, I am factoring in what I perceive to be the obstacles and 2 small power just wouldn't leave me confident if it were me. Have you actually used solar? The only way to get 15 hours is if you nurse the solar panel all the time as the sun goes from east to west, rotating and tilting it. In summer a solar panel would spend half of the day in its own shadow unless . Then you are not actually hiking. There may be 15 hours of sunshine but if you are moving you would be doing well to get 3 to 6 hours of direct light. Solar technology ceases to deliver ANY power below a minimum level of light close to direct bright light. So 30Wh-60Wh for thru-hiking for that 21W is a reasonable number, the issue is if the expectations cannot be met. There are solutions like buy another solar panel. The 6 weeks aspect means no amount of charger powerbanks can withstand the long term of supply and demand. 15 hours is full daylight. It is the maximum possible timeframe if you sat from sunup to sundown. The reason I used it is to show that rotating power banks is your best bet to ensure you have maximum juice to cover all uses. Under perfect settings, 20k mAh is a stretch for the kind of drain they will be using, especially considering one bank can be drained by the gopro under heavy usage alone if it is only a 10k. I will say my peace here since I believe we have gotten off topic, but I have not thought this up off the top of my head. I do believe you are right in that batteries and everything needs to be considered, while I have done it on my end and you have done it on yours, we are under similar thoughts with different outcomes. Knowing batteries and drains on items they are taking I would not be confident in 10k or lower banks because I would rotate them while always trying to get one to charge. I believe a lot more focus is on the solar panel, when the bank also needs equal consideration, given a limited amount of sunlight and charging you always want to be charging when sunlight is afforded to you. First off, thanks to all for the detailed discussion. It's just what I needed to have confidence in my purchase/trip planning. If I've calculated correctly, based on the numbers in the image above I believe your recommendation of PowerCore 10000 (x2) would give me the storage, redundancy, and peace of mind I am looking for. Question: With 2.4 amp per port on the 21W Anker PowerPort Solar, is there a time penalty for charging both power banks simultaneously (in other words, is it faster to charge them one at a time)? I checked your math, didn't you say two iPhones? Apart from that yes seems you'd be looking at 10000mAh per day using the 3/2 rule so double that for headroom. You're better off connecting both concurrently in strong sunshine to not waste solar energy. As a 10000 gets to 8500mAh it charges half as fast, so if you plugged in one and waited to it fully charged then did the other, you'd waste hours of useful solar energy but connecting both you only waste energy towards the end of day when sunshine weakest anyway. However in weaker sun yes your concern is valid, they'd each see too little voltage to be charging so connect the least full 10000. Once both 10000 recharged, then connect something else say your GoPro, probably not iPhones. Experiment at home before you head out. Buy a meter to test actual solar panel output to everything. Use good quality just long enough cables. The sort of gotchas you can see happens in testing is the headlamps demand so little Amps during recharging that the 10000 shutoff so you have to repeatedly press the 10000 power button. If that happens then they may prefer being recharged off solar directly. Thank you for the solar charging strategy—very helpful! I'll be doing many outings before the 6 week trek, so will definitely be doing some field tests with all of the gear. The above list of devices (batteries) has been 'dialed-in' so there's only the one iPhone now. As for the 3/2 rule, wouldn't that have already come into consideration when making the calculation to convert the Daily mAh Demand to Wh? Or is the thought to use the 3/2 rule again on the final number to be on the safe side? I'm hoping to purchase my power banks this week, and currently the plan is to buy the two PowerCore 10000s. Nice write up. I'm a Cub Scout leader and this information is great for me and the other scouts when we go camping. There is about 10% loss from charging something to recharge something else but the rough 3/2 rule is probably covering that. If you wanted to add a bit extra safety net then when your Powercore are fully charged then recharge other devices to keep the solar panel working. Then in sunny days you finish days with two 10000 charged and plenty of your gadgets charged then you are carrying 2 day's worth of power needs for the cloudier days. The big hog of power is the GoPRo, so if you did find your stored capacity not being renewed daily, then consider connecting the GoPro to the solar panel til full then when they are charged then connect the Powercore. I would use that as Plan B, because the mAh of the GoPro is very small, implying they ingest little wattage. Plan A would be to recharge Powercore, then when they are full recharge GoPro, so on strong sun days you're using all of the solar energy going. To not waste solar energy, connect the lowest charge level 10000 with a GoPro using the solar 2 ports. There is no evidence yet to make two 10000 Powercore other than the best choice for you. The need after is to experiment and find good combinations. A USB meter will help. So for example in good sunshine, chances are the Powercore are ingesting at the highest Ampage, way above the other devices because the Powercore can ingest at 2A while most devices cannot. From a safety perspective, 2 iphones with you makes sense, but if you keep one turned off, deep inside a waterproof bag wrapped in soft clothing, would be better than having 2 iphones on all the time. From a backpacking perspective, a solar panel, and two 10000 and all those gadgets, is a lot of weight. Most backpackers I know carry just 1 phone and a solar panel and use sit-down time to recharge the phone, and use the phone for everything, including as a flashlight. I use a solar panel, a phone, an LC40, one 10000 (future: 6700) and the phone I use is deliberately power frugal, of a type with a swappable battery and I carry a spare charged battery. That lot is less weight. 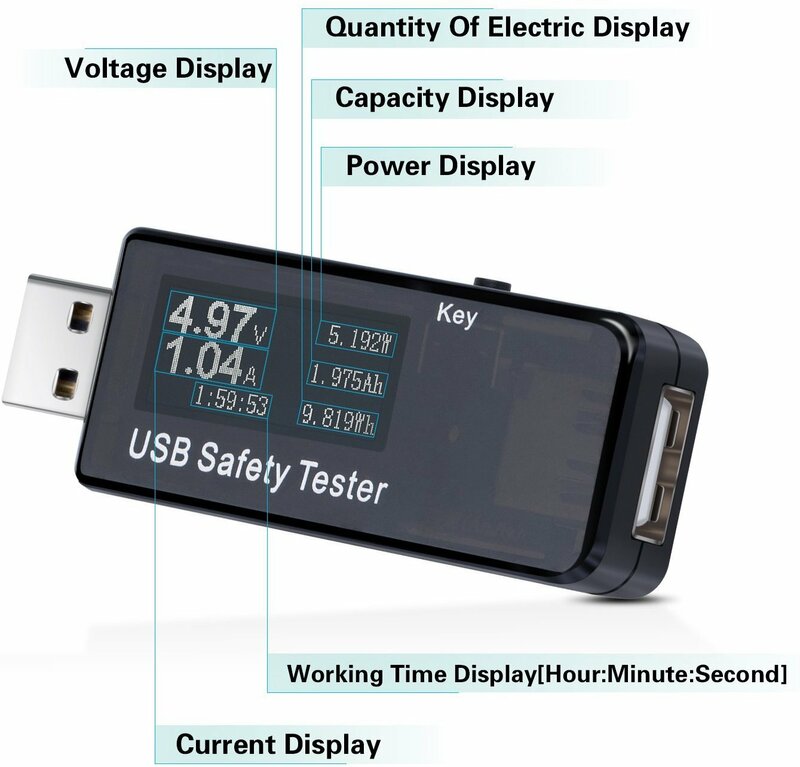 This is the USB multimeter that I would recommend as it will give you very detailed information. Other than Anker, I also prefer RAVPower Solar Power bank. It has 3 output so I can charge 3 device at once up to 5V/6.4a.